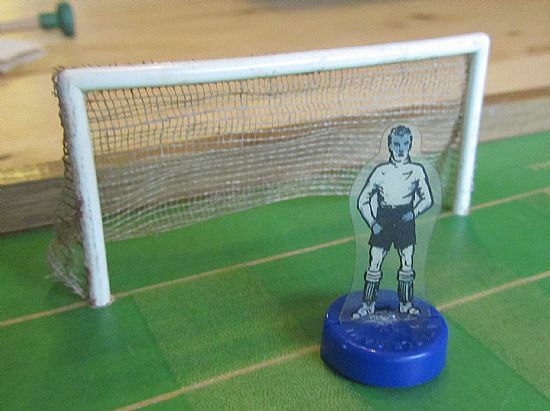 A really rare short lived game from the Newfooty company - more famous for their predecessor to Subbuteo. 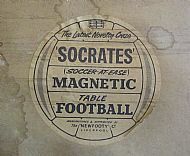 This game went up against Balyna, Soccerette, Bell Games and many other magnetic game producers. Here is another version with card box pitch and a version with large pitch and Newrugger game too. Lovely classic designed label for this very rare game. 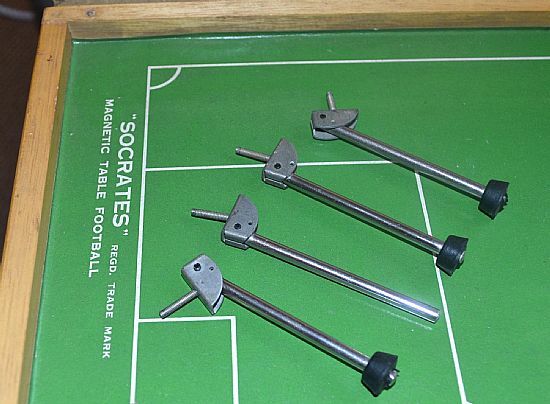 Nice hardboard pitch, well made goals and 3 a side magnetic figures. Cracking pitch with lovely grass mowing stripes! 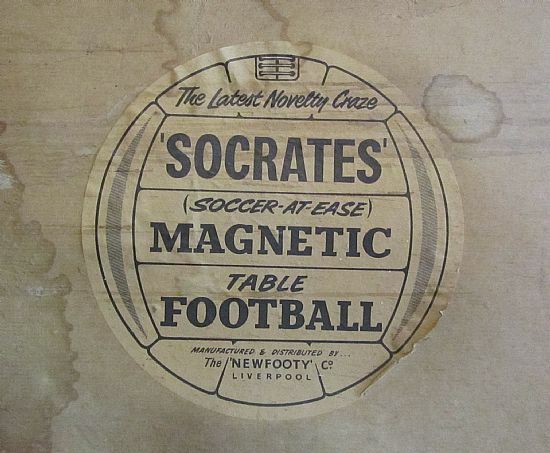 Two paddles with magnets, goals, players and ball. Unique bases from the Newfooty Company. Highly collectable. 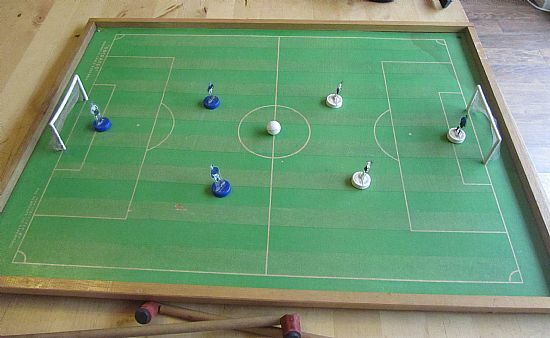 Three a side with the keepers in alternate shirts and bases for added confusion! Spelt out in case you missed it! It's the latest novelty craze don't you know! Somewhat knackered and deteriorated legs. 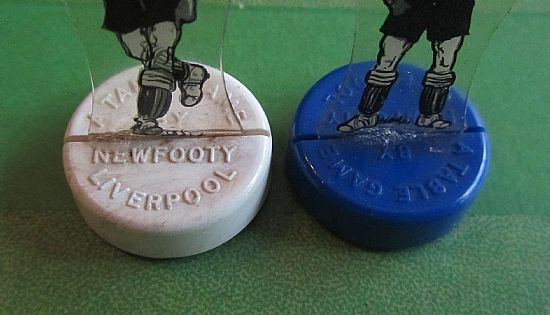 Made by Newfooty who were far more well known for the flick to kick type of game. 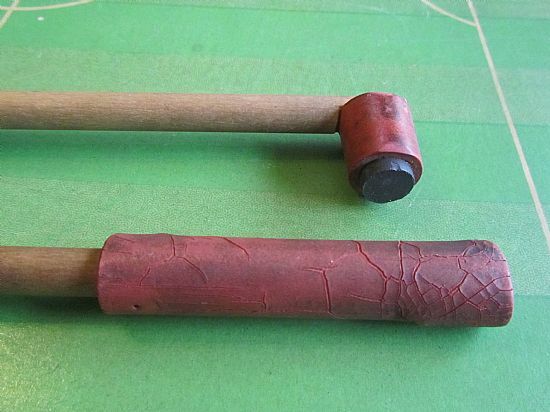 A set of quite sophisticated folding metal legs from a slightly later set.